* My husband, sports editor of the Tupelo, Miss., Northeast Mississippi Daily Journal, pointed out that Alabama this weekend performed the near-miraculous feat of winning twice without even playing, riding to on-paper victories with Oklahoma’s and Auburn’s losses. Is there nothing Saban cannot do???!!!!!! 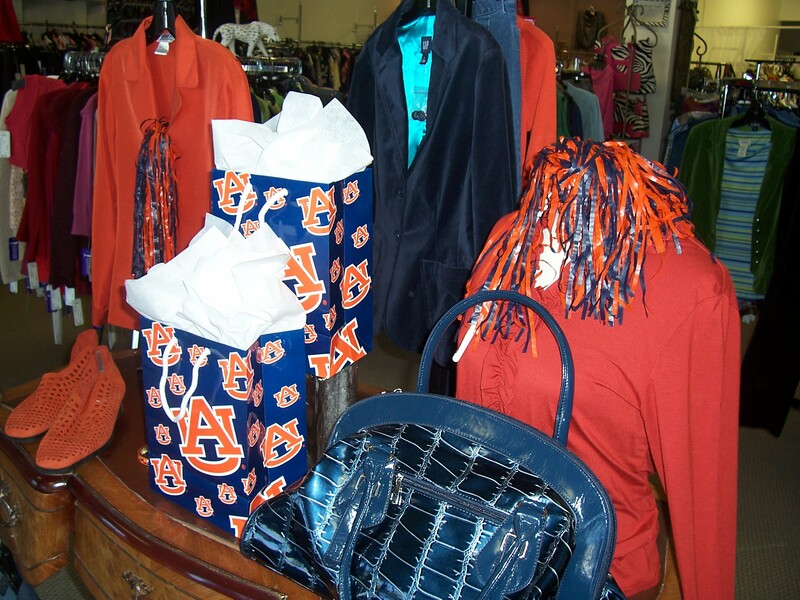 This entry was posted in Alabama, fashion, shopping and tagged Alabama, Birmingham, consignment stores, entertainment, fashion, football, shopping, sports by Coffee with Cathy. Bookmark the permalink. Excuse me – Roll Tide!!!! Cathy, your football knowledge is very impressive. Thanks for the kind words, Susan, but I really can’t take any credit of knowledge beyond listening to my husband talk shop! I am understanding the game a bit more, though, and that does make it fun to watch. And good luck to everybody’s teams. I hope everybody wins!!!!! !